The Federal Budget 2019 was formally released by the Federal Government last night (2 April 2019). However, in an election year, the Federal Government took the unusual path of confirming that the government would not be seeking to pass new legislation implementing that Budget in the remaining Parliamentary sitting days. Instead, the Budget legislation would be left only to pass if the government is re-elected in the next Federal Election which is likely to take place in May 2019. The Budget was largely positioned to appeal to business and individuals through additional funding, especially for infrastructure spending and additional income tax and other relief for low and middle-income earners. The Budget did not include a prediction of returning to surplus in the 2019-2020 financial year but foreshadowed a return to a budget surplus for the 2020-2021 financial year on the assumption that the current Federal Government is returned to office and that anticipated changes to economic conditions would enable the delivery of that surplus. Clearly, the Federal Government is claiming that it is the most responsible financial manager and that the only way that voters would be able to secure the promised advantages would be to re-elect the Federal Government. Unfortunately, there was little of surprise in the Federal Budget in the international trade and customs sphere as many of the Budget initiatives had been released before last night’s announcement. However, it is worth reiterating a number of items that did appear in the Budget. A reminder of the recent signing of the Australia-Hong Kong Free Trade Agreement (A-HKFTA) and the Indonesia-Australia Comprehensive Economic Partnership (IA-CEPA). The passage of the two Free Trade Agreements (FTAs) (if they are passed by the new Parliament) would lead to some reductions in revenue collected from imports from those countries. It will be a real test of Parliament and its processes to see if these two FTAs, together with the Peru Australia Free Trade Agreement, will move forward to commencement given the position of the opposition in relation to some provisions of those FTAs. 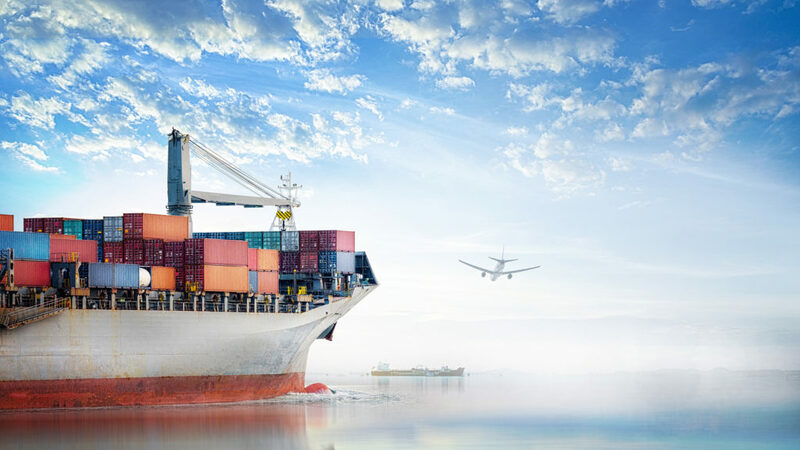 $68 million made available over three years from 2019/2020 to support exporters in particular additional funding for the Export Market Development Grant (EMDG) program. As readers would be aware I am a director of the Export Council of Australia and we have pressed Government on many occasions to increase this funding. This increase is welcomed and hopefully will lead towards additional funding for the program in future years in line with recommendations of Parliamentary committees. $29.4 million over four years from 2019 to enhance agriculture, including work on the reduction of non-tariff barriers to trade, and assistance with technical market barriers in export destinations. $66.9 million in funding over five years to enhance Australia’s engagement with near neighbours in the Indo-Pacific region of which a large amount is aimed at improving relationships with China on agriculture food safety and regulatory cooperation. Confirmation that while government proposes to proceed with the biosecurity imports levy announced in the previous Budget, the date for implementation has been changed from 1 July 2019 to 1 September 2019. There is currently a review of the proposed levy being undertaken, but it would seem that government has assumed that levy in its current form (or similar) will proceed regardless of the current review and work of the Federal Government’s Steering Committee. Significant increases in customs duty payable on tobacco imports. Readers would be aware of recent changes to proposed regulation for the taxation regime for tobacco including the requirements for permits to be secured before goods are imported and the requirements for import duty to be paid at the point of import. This removes the ability to place goods in bond and only pay customs duty once the goods are released from bond. This has been a contentious issue within industry and has been a subject of significant discussion during my recent forums with the Customs Brokers and Forwarders Council of Australia (CBFCA). An anticipated reduction in customs duty from imports of motor vehicles given that motor vehicles from many of our Asian trading partners are already free from duty due to our existing FTAs. This announcement therefore seems to anticipate the likely completion of the FTA with the EU which, as a central inducement would remove customs duty payable on motor vehicles imported from Europe (and maybe even Luxury Car Tax). There is no reference to any additional funding for implementing wider brown marmorated stink bugs (BMSB) measures even though the program will expand in the next season. Similarly, there is no additional funding for single-window or other trade facilitation initiatives which have been a key feature of collaborative work between agencies of the Federal Government and the private sector. There was no additional funding for the Anti-Dumping Commission so the promised “toughening” of regulation regarding trade remedies from both the current Federal Government and the Opposition will need to be managed by the Anti-Dumping Commission (ADC) without any additional funding. This may exacerbate the current days and uncertainties associated with investigations through the ADC. The Federal Budget makes no mention of other initiatives such as additional benefits through the Australian Trusted Trader Program although that may not be unexpected as financial aspects of the program such as the deferral of the payment of customs duty and the other initiatives had been funded in earlier Budget announcements. It would appear that the Federal Government has taken the position that there are no significant political benefits to be gained by additional expenditure in the customs and international trade portfolio and through the operation of its agencies in that area. We await, with some interest, the response by the Federal Opposition to be delivered tonight and other announcements as to policies from both the Federal Government and the Opposition to be made in the movement towards our next Federal Election. As always, if pain persists don’t hesitate to contact your local friendly neighbourhood customs and trade lawyer.